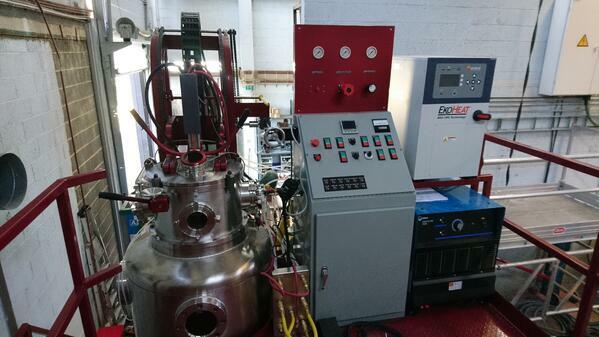 Ambrell's EKOHEAT induction heating systems are integrated into Arcast's VersaMelt Gas Atomizers. The VersaMelt permits processing of many metal alloy systems from a single atomizer platform. It can accommodate a wide range of complex alloys, from tin to tungsten. Clean, ceramic-free titanium (or similar metal) powders can be produced using scrap or recycled powder as feed stock. The VersaMelt is a highly versatile solution and has a multi-configurable melt chamber. Ambrell induction heating systems are integrated into a wide array of industrial solutions requiring induction heating systems, with the VersaMelt integration being one example. To learn more about Ambrell's induction heating solutions, visit our products page. To learn more about the Arcast VersaMelt Gas Atomizer, visit their website.